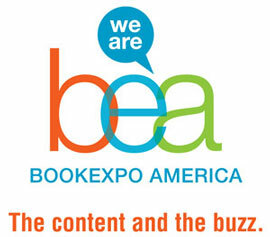 BEA starts in two days! Or tomorrow, for those of you who are going to Bloggers Conference, like I am. I can't wait to meet people there. If you've ever spoken to me or just stopped by the blog and would like to say hello, don't be shy! I'm shy so if I give you a weird look, it's probably because I'm suppressing some social anxiety. Half kidding. If you'd like to meet up, shoot me an email! You'll find me at Sarah J. Maas' signing and hanging around the publishing booths. I'm also thinking about going to the Teen event at Books of Wonder. So please, come find me and let's chat about books! For this week, posts will be sporadic. I've schedule a few but I"m considering it a week off. See you all on Monday! Thanks! I hope I do too!